I'm so excited to share this month's stamp club projects with you. This month's club showcases the Everyday Tags stamp set from the Occasions catalog. I LOVE designing cards for you each month. I always try to think of what's coming up and what types of cards you may need. That's how I decided on these 3 fun cards. I also wanted to thank all of my March Stamp Club participants. I SO SO SO appreciate each and every one of you. I LOVE what I DO and you all make it WORTH IT!! 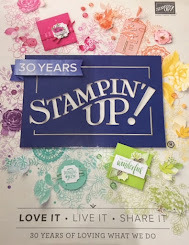 To receive your FREE card kit, simply place a $35 minimum order in my online Stampin' Up! store.